Cast sterling silver finger ring band. The 4mm width will accomodate hand stamped words or designs. Saw this band to create a ring shank for adding silver settings. Drill holes for cold connection elements. Or, solder metal design elements on the surface. 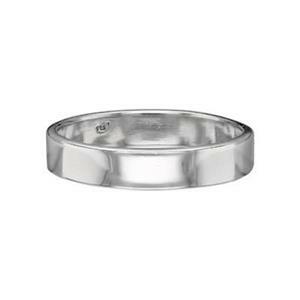 Ring bands are versatile silversmithing supplies.